Catalog Page 56. Costumes and uniforms for teddy bears and stuffed animals. Catalog Page 56. Use a costume to add a theme to your party or promotion. 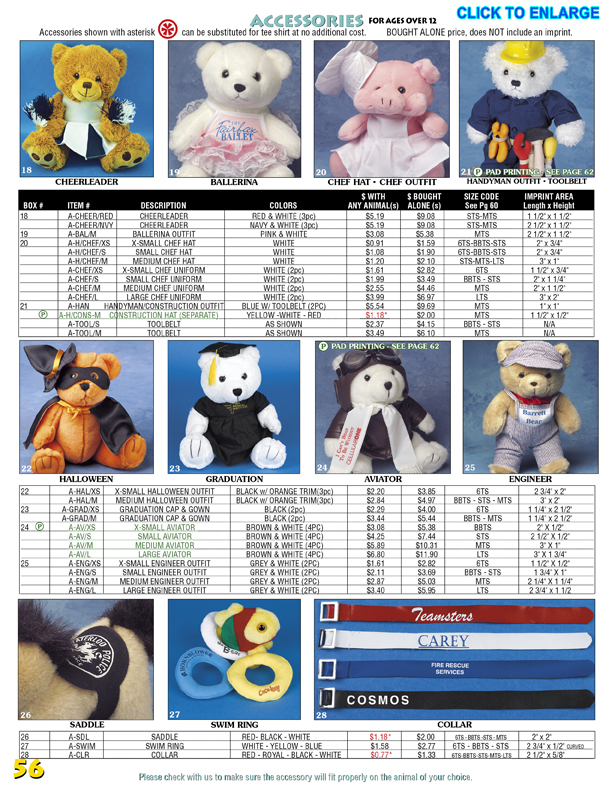 We offer costumes and uniforms for teddy bears and stuffed animals. We offer many styles of costumes and uniforms to help personalized your special event. We offer the following styles of costumes: cheerleader uniforms, ballerina, chef, Halloween costume, graduation cap and gown, handyman, engineer, aviator, saddle and collars. The price is less when ordering the accessory with a bear or plush toy.